Welcome to Troop 437! Proudly chartered by American Legion post 437 in Westford Massachusetts. Are you an Arrow of Light scout looking for a Scout Troop to cross over to? or maybe you are new to Scouting and want a great Troop to join? Either way Troop 437 welcomes boys and girls to come and experiance the adventure of scouting! Come visit one of our meetings to experience what Scouting is all about and what makes Troop 437 a great Scout troop. We meet every Thursday evening that school is in session. Meetings start at 7:00pm at the American Legion Post 437 at 114 Dunstable Road. Feel free to contact us at info@westfordtroop437.us and let us know you are coming or to contact us with any questions. For more information about the troop you can start at our About Us webpage. Supporting Scouting and Troop 437 throughout the year is easy...simply start your amazon.com shopping trips from our home page with this link or by clicking the amazon logo below and a portion of the money you spend will be given back to our troop to help support the Scouting program! Please note - you need to click this link before you place items in the amazon.com shopping cart in order for the troop to get the benefit. It's time for the 9th Annual Bike and Sporting Goods Sale! Please mark your calendars and sign up to help with the sale on Saturday, April 27th. We'll need help Friday, April 26th, 6-8pm, at the Legion for the consignment/donation drop-off. Then we'll need help during the day Saturday, April 27th, starting at 7am to set up for the sale and run the pre-sale drop-off. There will be a couple work shifts to cover the sale that runs from 9am-1pm. Finally, we'll need help for clean-up and consigner pick-up from 1-2pm. The Troop's Bike and Sporting Goods Sale is consistently a huge success thanks to all of your support! The Bike Sale is fast approaching (11 days) and to make it successful we need your help. As the primary fundraiser for the troop, it is an All-Hands-On-Deck event. We have created a SignupGenius identifying general time slots and positions for both SCOUTS and ADULTS. Please sign up for any position that your available for. If your only available for part of a time period, that's ok, just make a note of it. Those of you who signed up on the paper form, Thank you. The SignupGenius has been completed for you. Check it, but you should be all set. Next Merit Badge Monday April 22nd - Please sign up now! The next Merit Badge Mondays session will be Monday April 22nd from 7pm to 8:30pm. For these sessions to work we need scouts to sign-up before the event so we ensure we have enough scouts and the right counselors available. Have a merit badge you want to work on? If so please let Mr or Mrs McKeen know so we can be prepared. Merit Badge Mondays are an opportunity for scouts to connect with merit badge counselors to start new merit badges or to complete those pervasively pesky partials that seem to proliferate profusely. 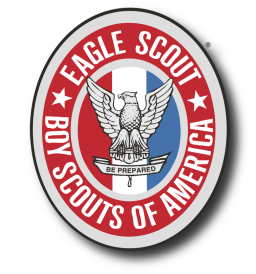 The Troop needs to collect BSA medical forms for all scouts in the troop on an annual basis. For weekend camping trips the Troop needs Parts A aand B with parents signature completed. For summer camp we need Parts A, B, and C with parents signature, Dr's signature, and a copy of the socut's medical insurance card. For Philmont we need Parts A, B, and C with signatures, insurance card and the Dr needs to review the reisk advisory with the scout and their family. 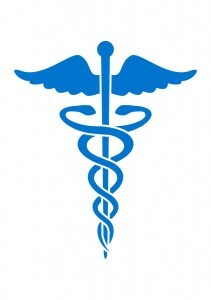 All Adults attending Troop trips also need to complete the medical form. Click on the button below to access downloadable PDF versions of the medical forms. They are fillable PDF forms to help in completing them. Breaking News! Troop Tents now available for borrowing! The Troop has decided to invest in a supply of tents that Scouts can use on camping trips. These will be 2 and 3 person 3-season tents suitable for most all of our Troop trips. We expect that the Tents will be ready to borrow for the April 13th camping trip. As we are starting with a modest number of tents, scouts with their own personal tents should continue to use them. If you would like to borrow a tent please contact your quartermaster at the meetings prior to the Trip. Scouts will be given the tent at the meeting before the trip and will be responsible for taking it home from the trip to open it up, air it out and let it dry. Tents should be returned to the Troop the week after the camping trip and returned to the quartermaster.